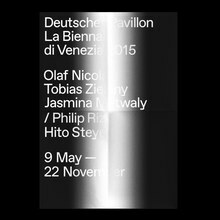 Commissioned for the signage of the German Pavilion for the 56th Venice Art Biennale. Also used for the catalog. Based on Italian emergency exit signs. Not available for general licensing.